Having a Holly Bloggy Christmas! - The Resourceful Room! I love all of it!! The candy is already gone and I can't wait to take that beautiful frame to my classroom and show it off! The apple hand soap is perfect my daughter tried to steal it for her bathroom but I am faster then she is!! Thank you so much Kelly for taking the time to put together such a nice gift for me!! I hope your enjoying my favorite things Kristen! 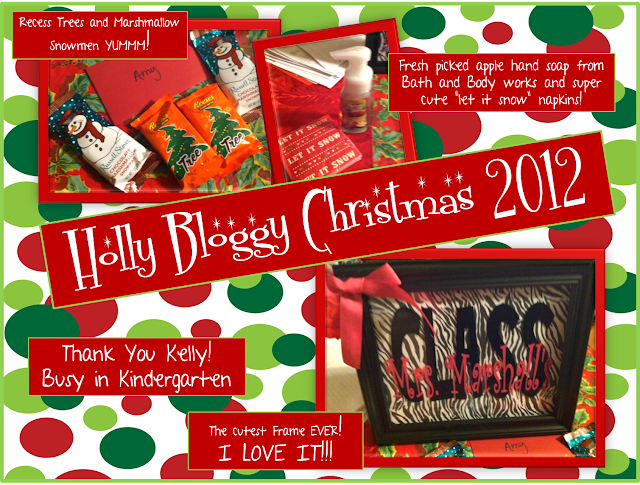 Special Thanks to Caitlin at Ms. Preppy and Sarah at Kindergarten Korner for hosting Holly Bloggy Christmas again this year! It's been a lot of fun, Hope your all having a Wonderful Christmas! I love how you put those pictures together! 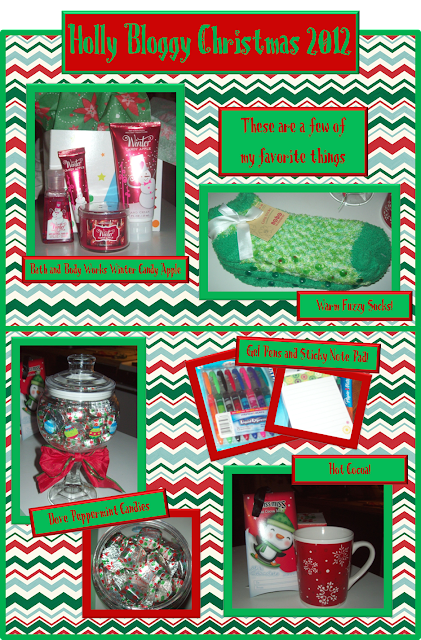 I loved getting your goodies together...hope you do enjoy them. The frame is one of my favorite gifts I have ever gotten from a student. Enjoy! Merry Christmas! Hi Amy!!!! I've been waiting until today to say THANK YOU, THANK YOU, THANK YOU!!! I LOVE all my gifts! I'm getting ready to wear my Christmas morning socks as we head out to my brother's house to celebrate. …and I have certainly made a dent in the candy… :) You are so thoughtful! Wishing you a wonderful Christmas!!! Oh, did I mention that the Candy Apple goodies are FaBuLoUs!!! !